As expected, careers are still on the upswing in the US. But which industries are growing? Here’s an infographic from SunTrust. Healthcare support is the largest growing industry in the US. Personal care aides is one of the hottest positions in the US. San Jose, California is the hottest spot for jobs for young professionals. This entry was posted in Recruiting Trends on December 23, 2013 by ZFR. This is the sequel of our previous article about thinking SMART by using the S-M-A-R-T method. Being goal oriented makes the difference in accomplishment and fulfillment in a given amount of time. All successful people are goal oriented. They have intense clarity of what the y are working towards and they work day-in and day-out to achieve their objective. They have have tons of accomplishments than an average person in all aspects of life. To help you become more goal-oriented, here are some important life skills to help you. What is it that you want? What is it that you really, really want? You wanted to have the highest recruitment ratio in your league for the first semester? What exactly does that mean in reality by number, quality and results? Vagueness is a subset of failure. Clarity tells you the resources you need, the network you have to work with and time to spend to achieve results. Goals can be wishes if not written down. There’s a world of difference in goal setting if you put pen to paper because it etches into you subconscious. Don’t make your computer a medium. Go back to the basics, write it all down and feel how it all centers you this way. To get your goals to happen, you may just need a psychological plateau-breaker. Make a Publicly Proclaimed Goal. Not necessarily to everyone to your Facebook list but to a trusted friend or set of buddies who will remind you of your goal, and the possibility of ridicule is a good motivation. These external motivations are powerful forces that allow habits to be built. 4) Take Action Today. Today is Day One. Planning is good. But making small, consistent action towards your goal even you plan to start it by next week makes it all seem realistic for you to achieve. An example could be if you want to own a brand new Rolls-Royce, take action by ordering a brochure or even book a test drive. These are 4 workable and totally useful steps to achieve your goals. Not exactly rocket science but this is proven to be a good move forward for your career as a recruiter. 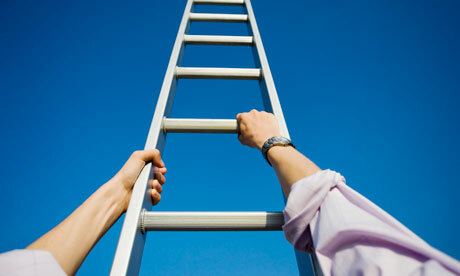 When you do the above steps, you are more likely to achieve your goals. So I tell you, take time to sort out what you want. Place your order. Get started. Get enthusiastic. Remember that goals aren’t carved in stone and as they are yours, you can change them as often as you like. This entry was posted in Tips on December 23, 2013 by ZFR. Setting goals, especially in the anticipation of the new year is imperative to achieving long term vision. If you haven’t started yet, it’s time to get busy. Keep all the long term goals in your sight everyday. Other people use a vision board. Others use stick notes, with a big circle on the ultimate goal. Once you have a long term vision in mind, it is time to begin to narrow that down in to goals for the year, month, or day. It’s used frequently, but I like to stick to the basics when it comes to goal planning. a) Specific- Write down the goals. b) Measureable- Remember, if it’s not measurable, it’s not predictable. Find the right metrics, put the right goal numbers. Say, next year you will find better candidates. It’s better to predict exactly the number of increase in sendouts in 2014.
c) Attainable- Make sure it’s actually achievable. Once achieved, plan a bigger plan, dream a bigger dream. Achieving them builds self- confidence. If it’s not achievable, it will defeat the purpose of planning them in the first place. d) Realistic- Make your goals relevant to you. If you are a manger, have your team members set goals for themselves, and then manage them to achieving it. If you make too broad organizational goals, you risk getting demotivated because of the unrealistic goals or standards you set. e) Timebound- Each goal should be time bound, trackable. Calls, send-outs, various levels of interviews, new clients, new candidates; anything to be accomplished by. Do you have a better way to do goal-setting? Let me know in the comments. This entry was posted in Recruitment Strategy, Tips on December 20, 2013 by ZFR. Powerful how a simple line can be. Here’s words of wisdom from some amazing people our history has known when it comes to hiring or recruitment. When your staff is aligned with your vision and the higher purpose, they work tenfolds more than the promise of money. “When we hire someone, even if they are going to be in marketing, I will have them talk to the design folks and the engineers.”, Steve jobs explained. Team dynamics is important to take use of people’s different skill sets. How they work together is a good indication of potential success. Thus how you hire them and mix them together is imperative than just building up related skills. 3. ”I hire people brighter than me and then I get out of their way.” - Leo Lacocca, Chrysler’s former CEO. 70% of the word “succession” is the word “success.” To be a true, great leader you must think about and prepare for the future of your business/organization. To make that happen, you should hire brilliant people that fills your company’s gaps, human talent that is impactful in the long term. At Zero Fee Recruiter, we will qualify the brilliant choice from the sea of applicants, so you can hire the right one. This entry was posted in Tips on December 17, 2013 by ZFR. Much is expected of today’s recruiter. Not only must they possess knowledge of the industry, business practices, and employment law, they must also possess the technological skills demanded by a workforce that spends significant time online. Today that often means skills related to social media recruiting, a field that is evolving rapidly. But in addition to these business and technological skills, today’s successful recruiter has to manage there resources correctly. More technology most times just means more time spent managing software before you even start the long process of contacting candidates. Significant interaction between recruiters and potential job candidates takes place both online and offline trying to connect, but that doesn’t mean you can spend you entire day with this process. If anything, you need to rethink your current sourcing strategy as locating good candidates is only 10% of the work. Recruiters have to be able to build rapport with potential applicants while still managing to get all other work done like interviewing and dealing with hiring managers. Services like ZeroFeeRecruiter.com give recruiters the ability to hire and source up to 75% faster for one reason, they give the recruiter a live team that allows them to focus on the core which is hiring, not recruiting. This entry was posted in Recruitment Strategy on December 13, 2013 by Zero Fee Recruiter.